Please join us for a converstation with Zoë Keating on 25 September 2012, 6 pm. We are happy to have Zoë back with us to talk about her music and share her experiences with her DIY approach on the business side of things. 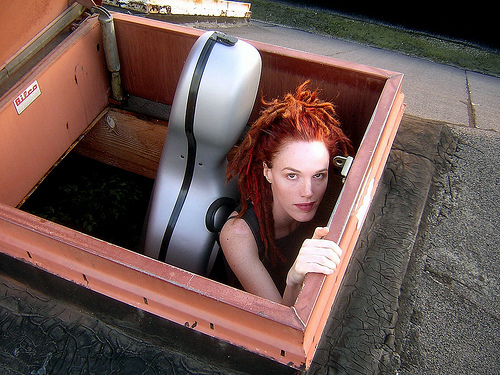 Zoë Keating is a one-woman orchestra. She uses a cello and a foot-controlled laptop to record layer upon layer of cello, creating intricate, haunting and compelling music. Zoë is known for both her use of technology – which she uses to sample her cello onstage – and for her DIY ethic which has resulted in the sale of over 45,000 copies of her self-released albums and a devoted social media following. Read more about Zoë Keating. 05 Artists being solo on stage & in business.flv from all2gethernow on Vimeo. Zoë Keating will play a concert at the same venue, Grüner Salon, later in the evening. Arnold Kasar will open the concert at 9 pm. Showtime for Zoë is 10 pm. Arnold will join the conversation during the #a2n_salon. Entry to the #a2n_salon is free. The #a2n_salon will run for 1 hour and start sharp at 6 pm. Be punctual! Tickets for the concert are 12 EUR VVK (15 EUR on the day): Tickets KOKA 36.